Our tinting system is a set of elements which gives our shops the possibility of manufacturing any color from the wide range of color cards available, with different paints and finishes (emulsion paints, enamels, exterior coatings, etc. 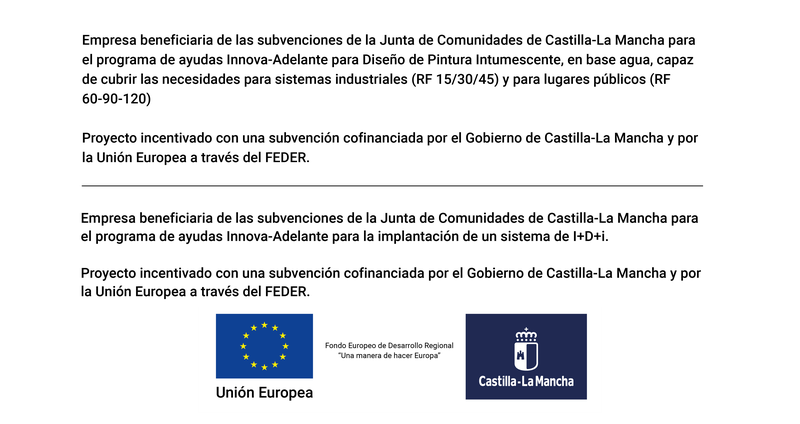 ), immediately and guaranteeing absolute repeatability and reproduction of colors. 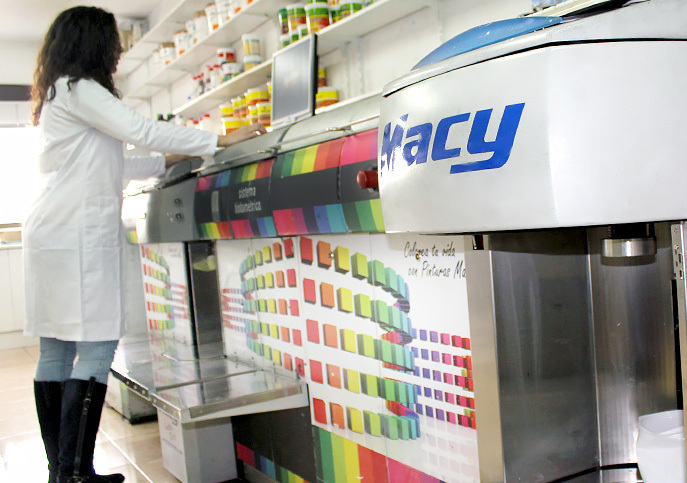 At Pinturas Macy there is a specific laboratory of colorimetry at our disposal, where new market demands are met and continuous research related to the tinting system itself is done, resulting in state-of-the-art products and colors. Besides, we provide an immediate and indispensable customer service, working not only with different color cards, but also with physical samples sent by our customers. Why do we work with Instan-Color System? It implies definite advantages, as offering our customer thousands of colors both at the sales point and at the moment, optimizing the available space, reducing stock and, above all, increasing service and quality. Colors can be reproduced as many times as desired thanks to our cutting-edge dispensers, with low maintenance and scarce mechanical incidents. This system has been developed from 16 universal colorants, which allow us to dye our different water bases –including those from the Decorative Effects Paint Line-, as well as our solvent bases for the different decorative methodologies. This system has been developed from inorganic pigments (8 mineral colors), 100% resistant to UV rays, which allow us to dye water bases for outdoors decoration with top quality performances. This system has been developed from 16 industrial colorants, which allow us to dye exclusively our solvent bases for industrial products. 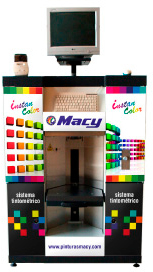 Pinturas Macy counts on all kind of Dispensers (machines) to determine the most adequate System for each customer. Universal Instan-Color System (16 Containers). Mineral Instan-Color System (8 Containers). Industrial Instan-Color System (16 Containers). Universal-Mineral Instan-Color System (24 Containers). Universal-Industrial Instan-Color System (32 Containers). Industrial-Mineral Instan-Color System (24 Containers). 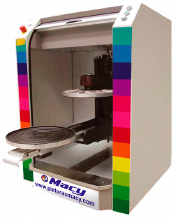 Our customers can demand two different types of stirrers, manual and automatic. 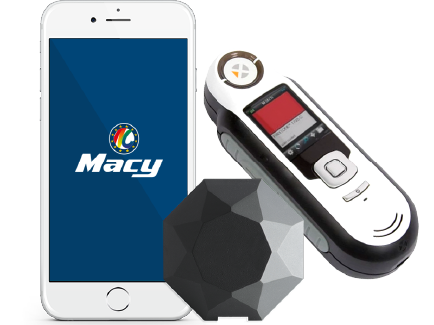 It is an essential tool for our customers, which allows us to examine color samples from a work, a piece of cloth, a magazine, etc., to search the most similar one from the different color cards available and to reproduce it in a precise and accurate way.